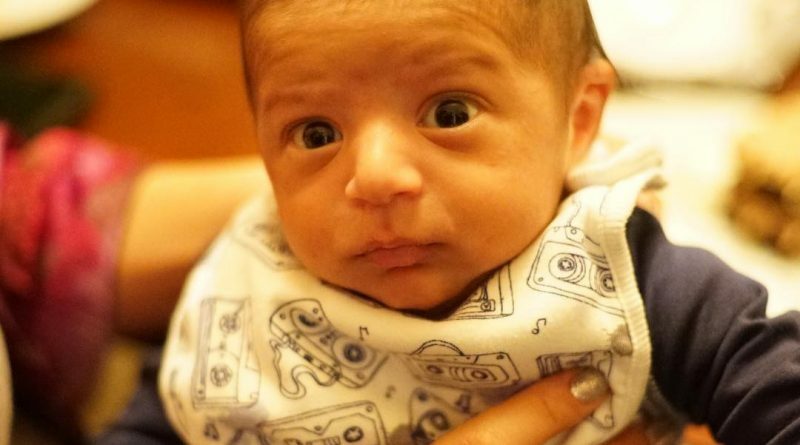 On the 23rd of October, Dj Khaled long time fiance Nicole tuck gave birth to a young icon. The young icon goes by the name of ASAHD Khaled. Dj Khaled recently took snapchat to reveal the young icon to the world along with his last released book “the keys”. DJ Khaled and ASAHD Khaled really look alike. Dj Khaled received several awards but nothing can compare to the birth of his son this year. He is so proud and happy of his son. Dj Khaled loves his son Asahd. He takes every chance to let the world know. On the other hand Nicole Tuck, the mother of Asahd Khaled is a proud mother. The father of Asahd wants him to follow the same footstep. He is less than one year old and already an executive producer. Dj Khaled 10th album titled grateful is dedicated to his son Asahd. From the first single title shinning featuring Jay Z and Beyonce to the second single titled I’m the one executive produced by Asahd. It is official that Asahd Khaled is the youngest producer in the music industry. He is also the youngest business person. It is indeed quite early to say if Dj Khaled son will follow his footsteps. Would Nicole Tuck Son be in the music industry? Dj Khaled passion for music came from his parents. Dj Khaled parents were Arab musicians. He grew up listening to his parents play music. Would he be able to transmit the same passion to his son Asahd? Nicole Tuck is an entrepreneur. She started a clothing company before closing it to become an unofficial manager of Dj Khaled. It would be fair to say that Asahd would be an entrepreneur.